Plan your activities in advance. It will help you prevent missing something you really want to do. Try to to make reservations when possible. Remember, don't over schedule, it is a vacation. Enjoy! Always wear sunscreen with a SPF of at least 15, sunglasses with UV protection, and a hat. Paying extra attention to the face, nose, and ears. These areas often are missed. 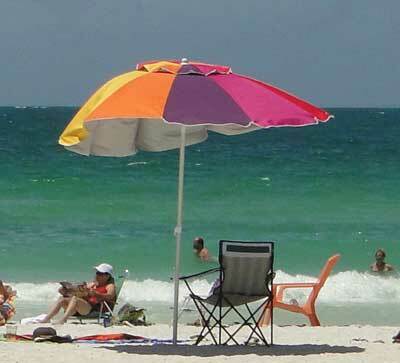 Florida sun can be quite hot, and a sunburn can make your visit miserable. You can get sunburned even on a cloudy day. Whenever you are outdoors, drink plenty of water, even if you do not feel thirsty. It is easy to get dehydrated in the heat. Wear comfortable clothes and shoes, especially if you're visiting a theme park. Avoid sun exposure during the hottest hours. Try to plan a break or an indoor activity during the hottest part of the day. Don't forget your camera and bring plenty of film - Florida is filled with photo opportunities. Ask about discounts offers for seniors, students, Florida residents, etc., at theme parks and attractions. Take advantage of the free transportation offered by many hotels to nearby attractions. At the beach, keep an eye on your children. Never swim alone.